Accepting Applications for English Teaching Jobs in Guangzhou in 2016! Teach English in Guangzhou! 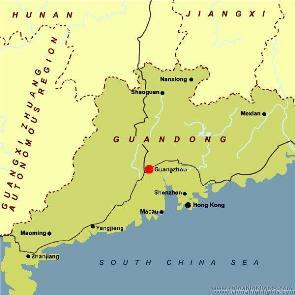 We have many young learner and adult English teaching positions in Guangzhou. Earn 10,000RMB+ per month, plus flights, housing, and Z Visa. Dominating the southern provinces, Guangzhou is the third largest city in China. Teaching English in Guangzhou provides a unique introduction to a Chinese lifestyle rarely seen in the northern cities. With Cantonese as the official language spoken in Guangzhou, you’ll have access to a rich history rarely tapped by Westerners. Guangzhou also serves as the economic and political hub of Southern China, making it a great starting point for exploring some of China’s best off-the-beaten-path locales. The city’s dynamic lifestyle and prominent location make it an attractive location for those interested in teaching English in Guangzhou. With all of the above and more at your fingertips, Guangzhou is one of the most exciting cities in China for teachers to call home. Originally settled under the name Panyu as early as 214 B.C.E., Guangzhou has served as one of the most important cities in China throughout modern times. In fact, during the 19th century, Guangzhou was considered one of the top three most important cities in the world due to its strategic trading location. Today, while teaching in Guangzhou, you will see why it remains a significant Chinese city – striding into modern times while still honoring its ancient and colonial pasts. The city’s close proximity to Hong Kong and Macau lets Guangzhou serve as a great jumping off location for some exciting international traveling without having to buy a plane ticket. Only in Guangzhou can teachers boast waking up in China, having a dim sum lunch in Hong Kong, playing a few blackjack hands in Macau before getting home in time for dinner. Sun and Fun for English Teachers in Guangzhou! 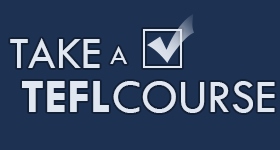 Your journey to teach English in Guangzhou starts now! 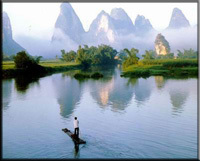 Guangzhou’s hot and sunny climate means outdoor adventure is waiting for you year round! For example, the world’s largest water park opened in Guangzhou in 2007, with some of the most exhilarating slides and rides imaginable. But Guangzhou is more than just subtropical fun, it is also host to some of China’s most memorable landmarks along the Pearl River. White Cloud Mountain embodies that picturesque “mountain in the sea of clouds” scene made famous through Chinese art. Or a stone’s throw away is Shamian Island, today a pleasant stroll, yesterday Guangzhou’s stronghold during the Opium Wars. Teaching in Guangzhou is seldom boring, often fascinating and always a great location for living and teaching English in China. You like the location, you like the climate, you like just about everything you have read about teaching ESL in Guangzhou. 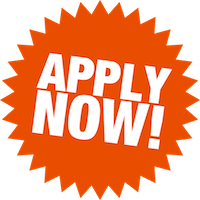 It is now time to take the next step and apply for an English teaching job in Guangzhou. It’s ok to be a little nervous right now, after all you are about to move to the other side of the world! But don’t worry, Reach To Teach is here to offer our support and guide you through the application process. We want to ensure that you know exactly what to expect as you begin a new adventure living and teaching English in Guangzhou! Teaching English in Guangzhou is a remarkable and life-altering decision. It is a Chinese melting pot with people coming from all over the world to live and work together. You will undoubtedly form lifelong friendships with both the people you work with and the locals you meet. Guangzhou is a bustling city with almost ten million inhabitants making it one of the most frenetic locations brimming with things to do and experiences to be had. It’s time to get out and take China by the horns, and what better way to do that than by teaching English abroad in Guangzhou! Deciding where to teach English in Guangzhou can be a difficult and stressful decision. There’s a myriad of English teaching jobs available in Guangzhou and they don’t always appear to be of the most reputable variety! That’s where Reach To Teach comes in. We carefully screen each and every school we work with. 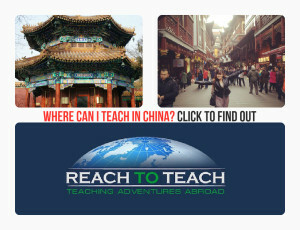 We mean it when we tell you, “We will only place you at a school we ourselves would work at (and often have worked at previously)” Reach To Teach is a program created by Westerners and we care about each and every one of the people we send to teach English in Guangzhou. Our careful interview and screening process means that not everyone that applies for a job with Reach To Teach will be accepted. If you are accepted, you can be sure we apply the same strict standards to the school locations and English teaching jobs in Guangzhou that we discuss with you!